Sarah John is a freelance conductor living and working in the Greater Toronto Area. Since September 2014 she has been leading the Church of the Messiah choir. From 2006-2012 she lead Vespera, an all female vocal ensemble committed to the performance and promotion of contemporary classical music. 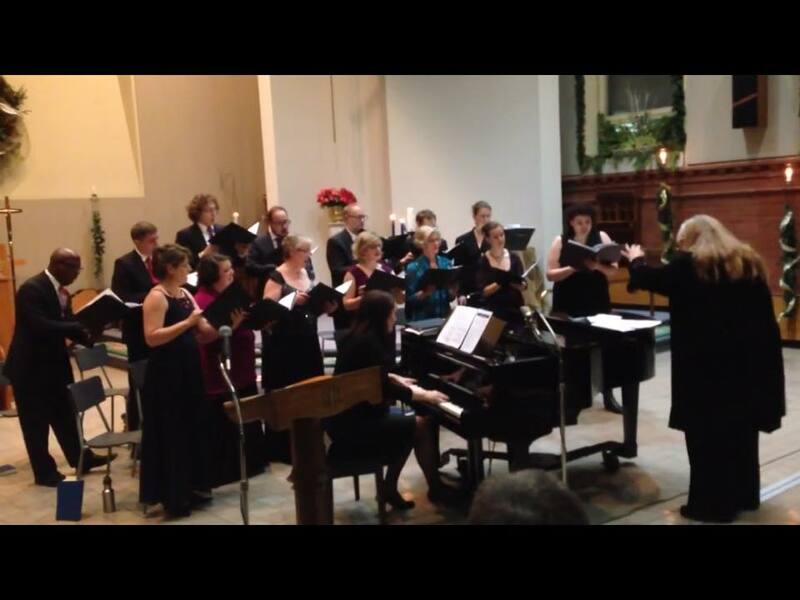 Sarah has conducted ensembles ranging from community choirs to college and professional symphony orchestras. She has conducted at various festivals and workshops including the Conductors Retreat at Medomak, the Symphony Orchestra Academy of the Pacific, the Eastman School of Music Summer Conducting Institutes, conducting workshops with the Kitchener-Waterloo Symphony and Orchestra London, and Festival 500 in St. John’s, Newfoundland. In addition, she studied conducting with some of North America's most distinguished teachers, including Kenneth Kiesler, Arthur Arnold, Gustav Meier, George Corwin, Susan Haig, Dale Warland, William Weinert, Joseph Flummerfelt and Elmer Iseler. Sarah studied oboe with Jerry Domer and Paul Emond and voice with Verna MacDonald, Judith Dowling and Susan Young. During her undergraduate degree she focused her studies first on choral conducting with Donald James and Bruce More and then orchestral conducting with George Corwin. She has held positions with the Powell River Academy of Music, Echo Women’s Choir, Scarborough Music Theatre, the Windsor Symphony, the Windsor Symphony Chorus and Heliconian Choir and Orchestra and the Greater Toronto Philharmonic Orchestra. In 1997 Sarah received a grant from the Canada Council of the Arts for her work as Conductor-in-the-Community with the Windsor Symphony. Sarah holds a Master’s degree in Performance (Conducting) from the University of Victoria.